For 3 months now, Haripada has not walked. "Baba, why am I not able to walk like other children?" he keeps asking a father who is at a loss for words to explain heart disease to a 4-year-old. Without a heart transplant, Satheyendranath Roy would have to prepare his son for the worst. Sathyendranath and his wife Basanti went to consult in Kolkata more than thrice. 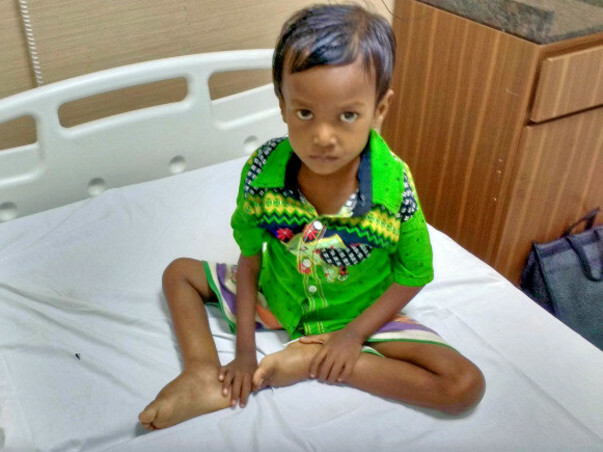 No treatment helped their child, and the doctor suggested they move to South India where healthcare was better. "We came to Bangalore. Here at the hospital, Haripada had to go through so many tests. Finally, the doctor said it was indeed a heart disease but medicines were no way to save him. 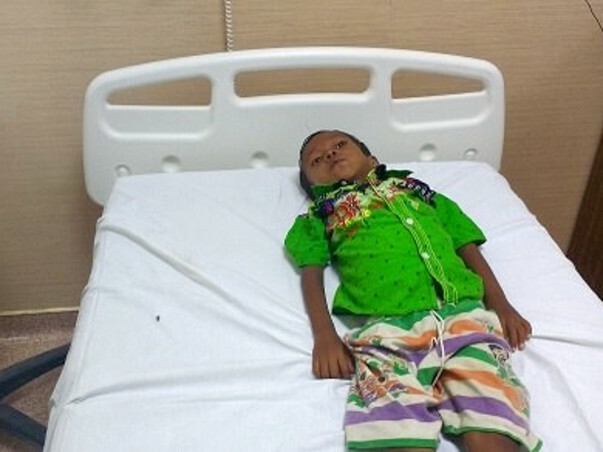 His condition is far gone and surgery is the only option now." 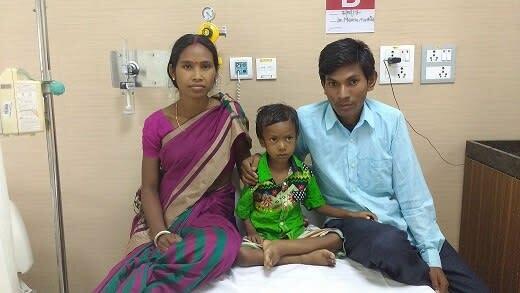 After 4 years, Haripada is here because his condition had begun to worsen. Earlier, a doctor had told him that medicines would control the disease, and he would recover soon. The family spent over Rs. 5000 a month on his medicines. Every month Sathyendranath would call his brothers for help. Though they were struggling, they gave as much as they could to buy him medicines. Now, this family is at crossroads unable to abandon hope or chase it. In Bangalore, this family is living in a shack with laborers from their town, far from the hospital in Yelahanka. They travel every day by bus so they can save rent money. The father is a daily wage laborer earning Rs. 150-200/day working in sun and rain, and now feels terrible that he is losing out on the opportunity to support his family. "If we cannot afford this surgery, we have to go with medicines. But the doctors have told us that he will not live if he doesn't get the surgery. So it is not like we have any other option. Rs. 20,00,000 decides whether my son lives or dies." 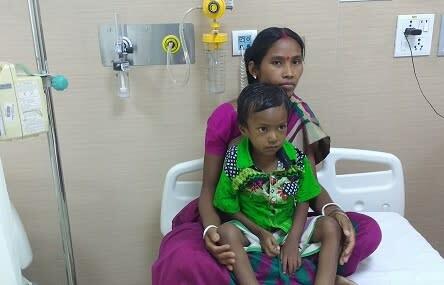 Your contribution can give this family hope and keep Haripada alive. Thank you for the love and support you have shown Haripada. The family is still looking for a donor and he is on medication. Would request you all to please pray that we find a donor soon and he is able to undergo the transplant procedure. Thank you all once again, will keep you posted. Here is a quick update on Haripada's health. His health is deteriorating over the course of time as the family is unable to find a donor. His legs are swollen now and he has developed stomach pain; the doctors are administering treatment to him for the same. 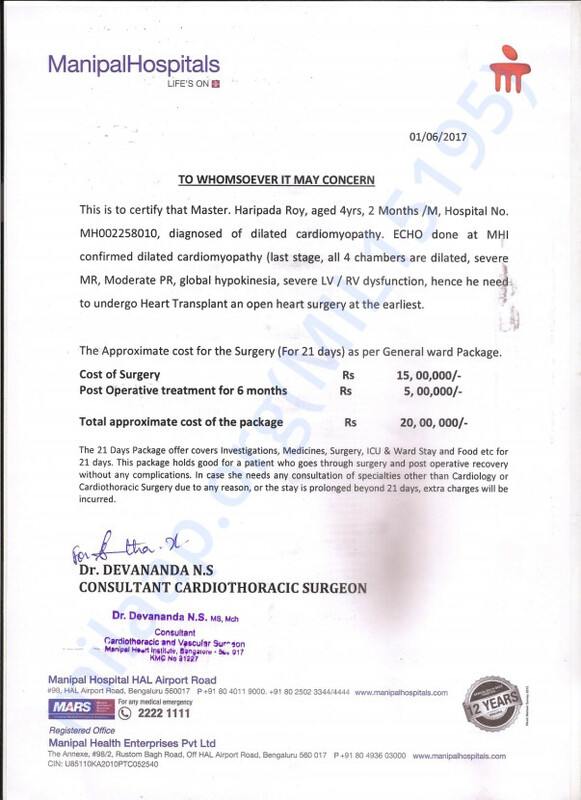 The family is still looking for a suitable donor, to proceed with the surgery and save their mischevious Haripada. He will be on medication until then and now the medicines are also not that effective as his body has got used to it. "Would request you to share with us, if you know about any organization that can help Haripada. We cannot see him cry in pain every day. This is the age, where he should not sit in one place but, due to the pain, he is not even able to move. We thank you for all the support you have shown towards him and we would request you to please pray for his health. We need your blessings and support now the most. ", Sathyendranath, Haripada's father. Get well soon Haripada God bless you dear. Get well soon baba ! !